In celebration of Shonen Jump's 45th anniversary, the fighting game that pits characters from Dragon Ball, One Piece, Bleach, Naruto, Rurouni Kenshin, Toriko, Gintama, Kochikame and more come together in the latest Playstation 3, PSVita game: J-Stars Victory Vs. Namco Bandai Games recently streamed its full promo for the game. Check out the video after the jump. 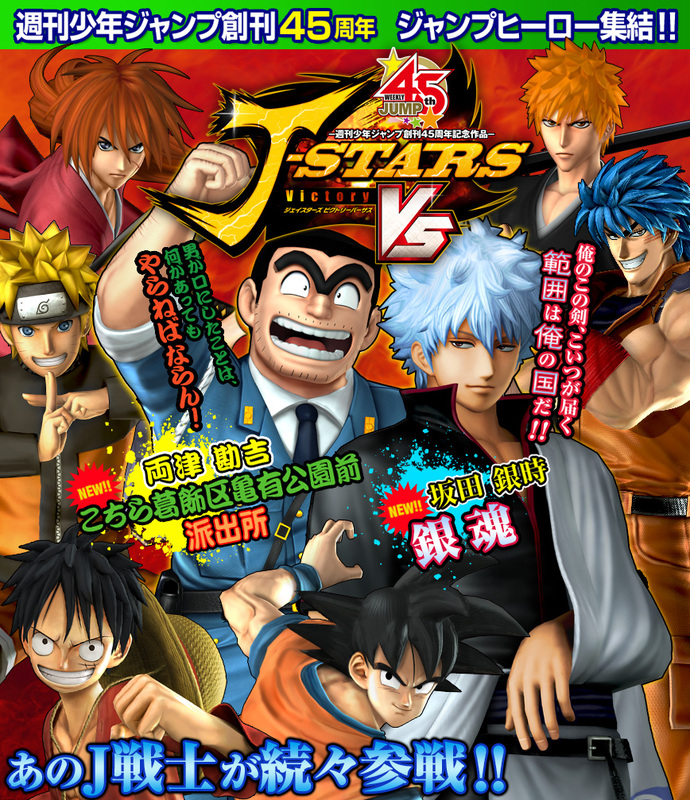 Announced characters are Son Goku of Dragon Ball Z, Luffy of One Piece, Toriko, Naruto of Naruto Shippuden, Kenshin Himura of Rurouni Kenshin, Ichigo from Bleach, Kankichi Ryotsu from Kochikame, Sakata Gintoki from Gintama. More Jump characters are scheduled to show up the game. Price and release date for the game has yet to be announced.